The rocket roared into space at 6:35 p.m. ET from the Kennedy Space Center in Cape Canaveral, Florida. The booster is carrying into orbit a 13,000-pound Saudi telecommunications satellite that will provide television, internet and mobile phone services to the Middle East, Africa and Europe. 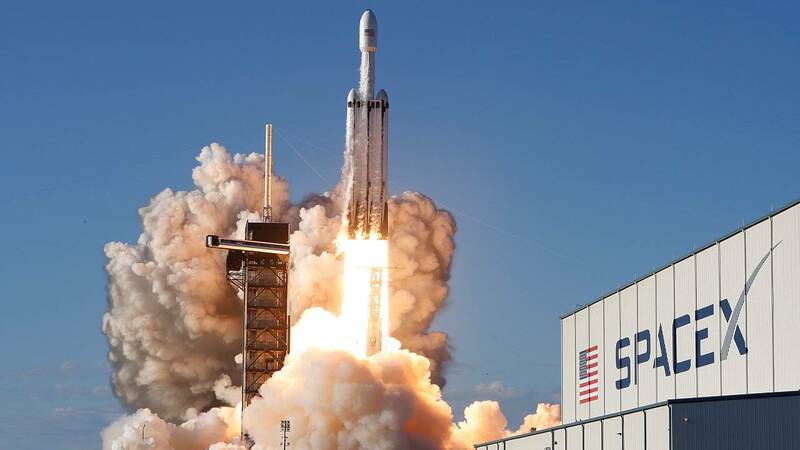 The Falcon Heavy is designed to loft into low-Earth orbit up to 140,000 pounds — more than any American rocket has been able to carry since NASA's Saturn V, which took Apollo astronauts to the moon in the 1960s and '70s. The 230-foot-tall rocket weighs more than 3.1 million pounds and is made up of three reusable boosters based on SpaceX's Falcon 9 rocket, which has been ferrying cargo to the International Space Station since 2012. SpaceX will attempt to land the rocket's two side boosters upright on pads at the Cape Canaveral Air Force Station. The company will also try to land the center core booster on a robotic drone ship in the Atlantic Ocean, off the coast of Florida.